What do y'all think of faux-tina paint jobs on our trucks? My '66 has a crap paint job. 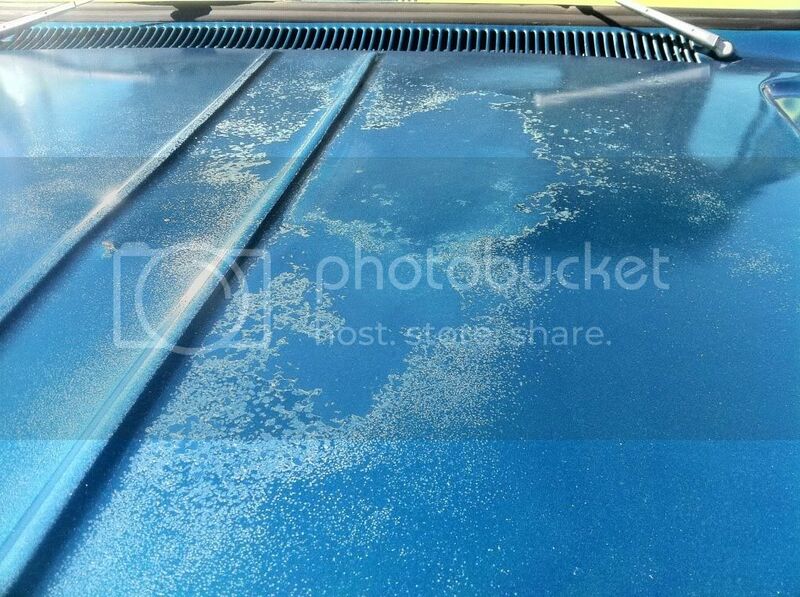 The PO painted it about ten years ago, did a crummy job and the clear is starting to flake off. There are plenty of dings and dents that make a nice paint job look terrible, and would cost me way more than i can afford to remove. And hell, I like the character. I like that my truck looks like it was used as a truck. Its not nice enough for a $5k paint job. I could put that money into handling improvements like a good front end. At any rate, I was watching Trucks! on TV and saw their faux paint and thought "I could do that in a weekend with a buddy!" 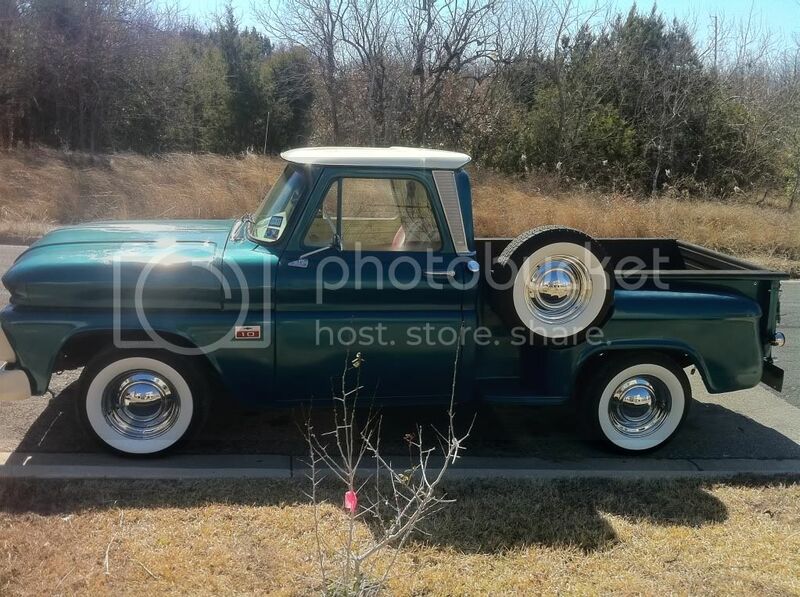 Should i faux my truck because its not good enough for a nice paint job or leave it the F alone? "The oxen may be slow, but the Earth is patient"
i'll admit, i prefer real patina because it looks so cool, BUT, your case is a good candidate for a shop truck approach (in my pea brain). And in that case, faux tina is cool. I gotta say though, I am NOT a big fan of how the Trucks guys did their 48 chev (or whatever year it was). Even faux tina should at least look like some tina... Theirs looks like multi coats of paont that were sanded through. Sometimes I look at it and think, kinda cool - other times, bleccchh. And I LOVE the trucks they build and I do LOVE that truck too, just not the paint (or the copper grille they just did - but I need to see how it fades quickly, maybe I'll change my tune). Bottom line - i think faux is ok/cool if done well. I think doing it WELL is probably as hard as a real paint job. But it's cheap to experiment with and you can always just start over. So, in that respect, I'm a big fan of faux. Last edited by jocko; 02-12-2011 at 02:52 PM. I agree with jockos comments; go for it. I would put time into looking at real patina on our trucks to get it right. Faux patina can be overdone and done wrong. I've seen some trucks that look like they would have had to been laying on their side for 40 years to look like the finished product . I would also suggest, if you are going to go for it, just to start with wetsanding the paint you already have just to see whats under it. Start slowly with a 400g(?) and see what happens. Most of these trucks have been painted at least once in their past. Its also chopped down (it was a long bed). So i was thinking a faux job might look okay, if I took my time and did it right. Do any of Y'all have tips? How would it look to take it down to the sheet metal in places and do a diesel oil finish? I'm just rattling off ideas here. Check out the Trucks! website, they did a video that is pretty extensive. bob, i think your truck looks pretty darn good! Anyhoo, straight sheetmetal is also important for a faux job, but I see what your getting at - you may be able to camo some of the waves or olde rblemishes and with a faux tina job. I think Pro trash might be on to something though - I think you've got the start of a good patina already, even though you are showing multi blue coats. With some careful sanding, you may not even need to paint! I too am planning to try my hand at the faux patina paint. 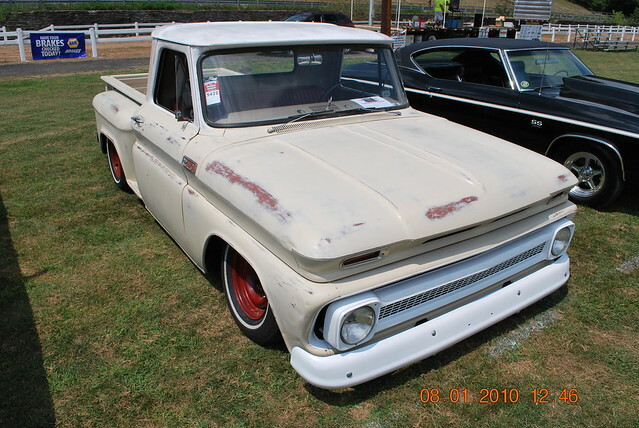 The best patina'd trucks I have seen are on trucks with light colored paint top coats. This allows the black and/or red-oxide primer to show up better. Here are some examples of patina, some real - some faux, and what I mean about the lighter top coats. Also notice that the real ones almost always have black primer on the dog house, and red oxide on the cab and bed. Last edited by lakeroadster; 02-12-2011 at 07:24 PM. I loved the way my truck looked before I got a round to the body work, but the rust wasn't doing her any favors. I figured I needed to fix it before it got too far gone. The best part was the rubbed-thru paint on the window sills from 50 years of hanging arms out the window. Last edited by tenni126; 02-12-2011 at 08:10 PM. 1. It's the first stage of rust, and I hate rust! I call it paintina. 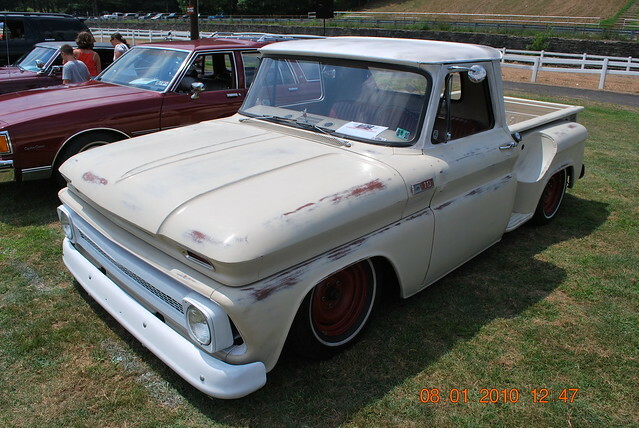 I did it on mine because the real patina on the truck was turning. I did not want it getting bad so primed it then tanned it and then rubbed it through. I use this truck on a daily basis when there aint salt on the ground so I dont need something shiny to scuff up. It works great for me. To hell with the ney sayers. Do what you like. This statement was made possible by a grant from this station and continued support from viewers like you. Id say patina that thing. I have had so much fun with my patina trucks. They look cool and there fun to drive. You dont have to worry as much when you park them some where. I always had more fun with my cars before I painted them. I choose real or self made "weathered" paint over shiney. By choice. As Mano n Malibob said, its so much more fun to not worry about scratches and dings. 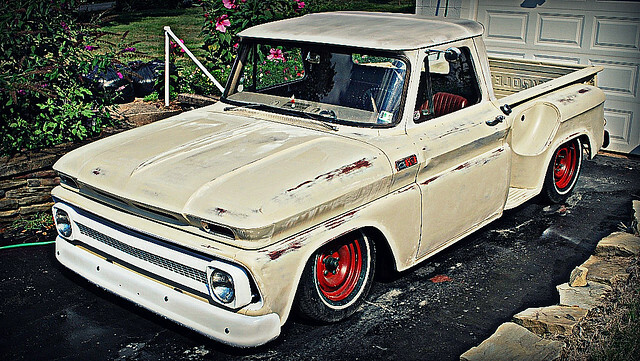 I enjoy my beatup old trucks!! Me & Grumpy both enjoyed this 1! To this day It was the best money I every spent. I was going to paint mine (last thing I do) but I think I will give it a good once over to get all the sheet metal straight, then enhance the patina that is already there. Last edited by SRVBLUES64; 02-13-2011 at 01:41 AM. Heres with the dodge 20" steelies. Hey Chizzler is that a 70 chevelle in the gargare. Chizzler, I love that paint on your truck. Friggin Awesome man, you got a build thread or can you tell us how you did it? 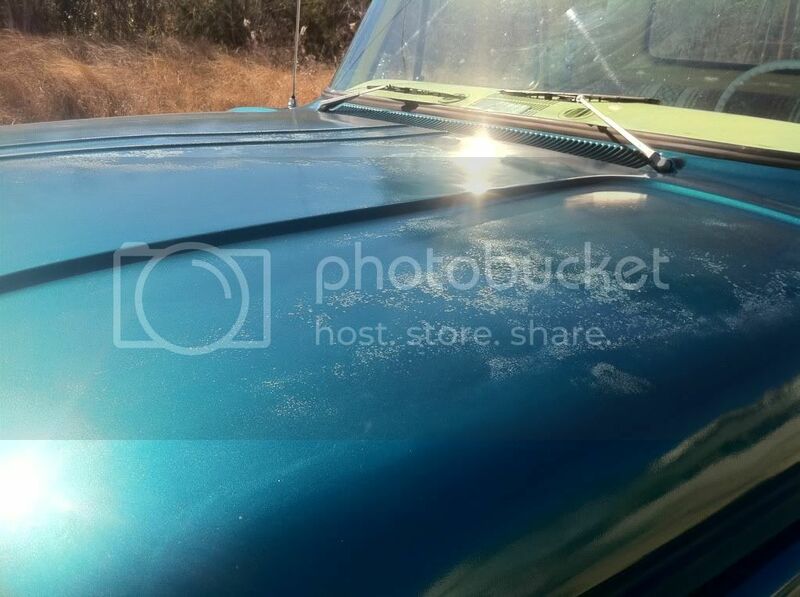 Srvblue64- I think your patina looks awesome too. Maybe once you get it all together buff it a little and see where it goes. If it looks good then keep going on it, if not leave it, it looks super cool. Last edited by Malibob; 02-13-2011 at 09:47 AM. Many of your "paintina" or "faux-tina" jobs look great! I have heard "the more layers the more better" from people. i wonder if you added another layer or two the to paint they did on Trucks! how it would improve (or detract) from the realistic-ness? What colors might you, or did you choose? ...and Malibib, I've admired your truck for a while now. It looks most excellent. great color. Look for Doogie's truck, he seems to have a lot of colors on his. I like it.